Prices remain unchanged from last year for the "Dine In Brooklyn" event. Much like its big sister in Manhattan, Brooklyn’s restaurant week has been extended amid a dismal dining economy. 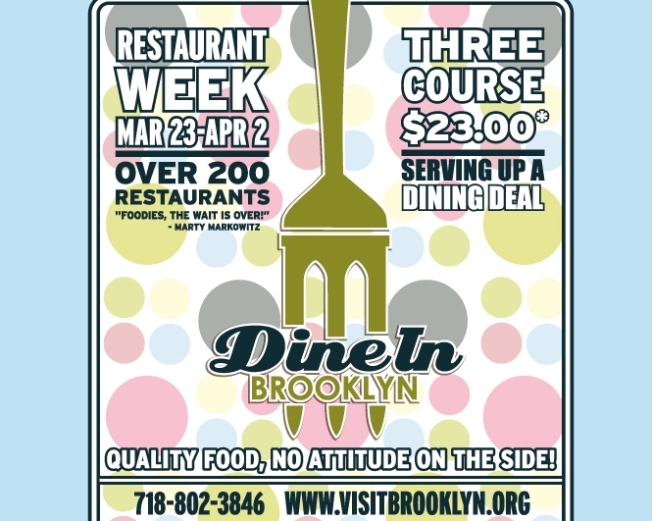 "Dine-In Brooklyn" announced Friday that the special $23 menus for lunch and dinner will be offered Mondays through Thursdays though April 30. Ok, no weekend specials…but it’s still a good deal. Restaurant week was originally slated to run March 23 to April 2. Some of the borough’s best and brightest restaurants have been participating in this year’s “Dine-In." A full list can be accessed at www.visitbrooklyn.org.